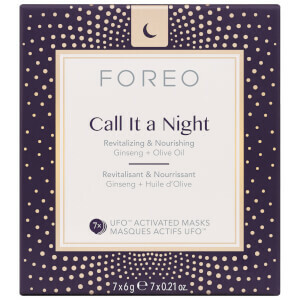 Maintain flawless skin with FOREO Call It a Night UFO-Activated Mask; a Korean-inspired treatment to be used in conjunction with the brand's UFO device for maximum absorption of nutrients and active ingredients. 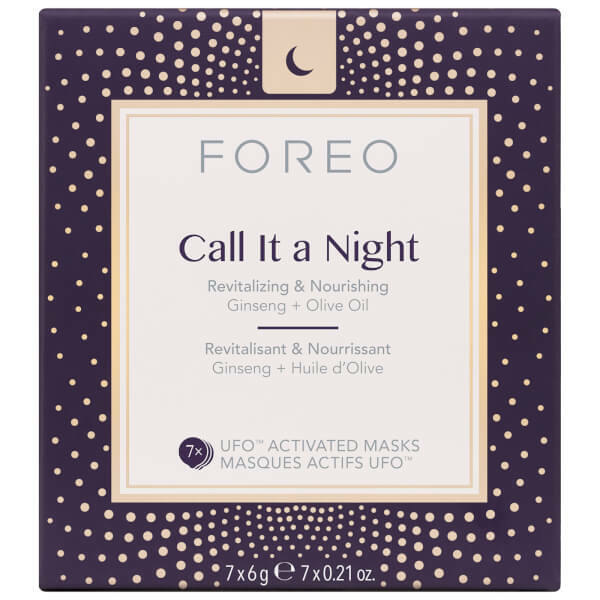 Fortified with rejuvenating Ginseng and Olive Oil, the soft microfibre mask revitalises and nourishes skin while you sleep, so you can wake up to a radiant, healthy complexion. 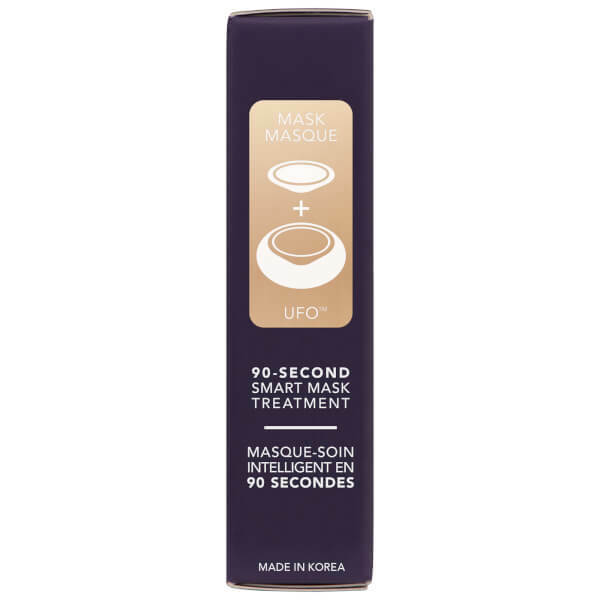 Experience soft, smooth skin that feels moisturised with restored luminosity. 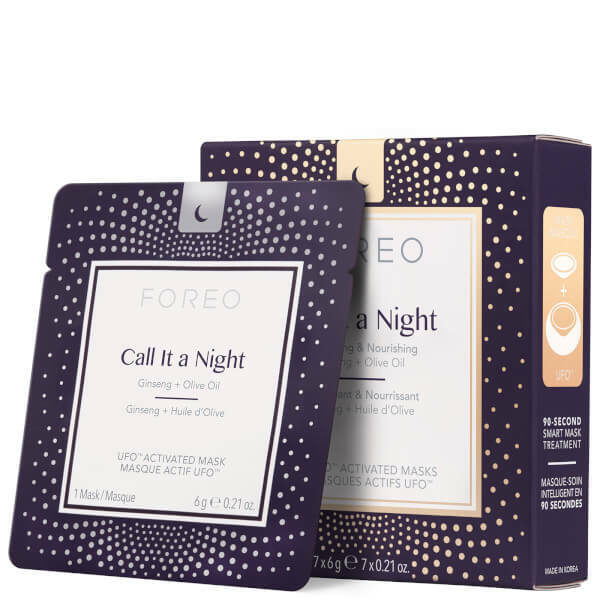 Aqua (Water), Metlclylpropanediol, Glycerin 1,2-Hexanediol, Panthenol, Hydroxyacetophenone, Betaine, Carbomer, Arginine, Hydroxyethyl Acrylate/Sodium/ Acryloyldlmethyl Taurate Copolymer, Butylene Glycol, Olea Europaea (Olive) Fruit Oil, Hydroxythylcellulose, Dipropylene Glycol, Parfum (Fragrance), Sorbitan Isostearate, Polysorbate 60, Crataegus Oxyacantha Fruit Extract, Gelidium Cartilagineum Extract, Panax Ginseng Root Extract.